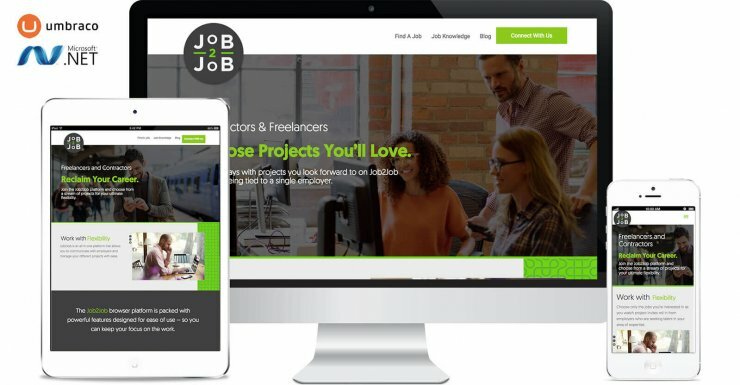 Job2Job is a platform for freelancers/contractors to find interesting projects and for employers to find the skills and expertise they need. Having a new product to market, the team behind Job2Job approached us to get them started with their branding. Thus, for this project, our team at WDM provided Logo Design, Web Design and Development, Copywriting and Wire-framing. We wanted to ensure that the website (built on Umbraco) would be clean, modern and easy to navigate. With two sets of audiences to target (contractors and employers), we created two landing pages for each, focusing on creating specific, relevant messaging for both while keeping true to Job2Job’s unique selling points. The end product? A website with a minimal, user-friendly design, is mobile responsive, and has an added blog functionality for the Job2Job team to take their next steps in the business.